Disclosure: This post is sponsored by Harris Teeter, who along with me wants to help your family eat healthy meals. Busy summer days and nights can make it challenging to feed the family a healthy meal. It’s a good thing that Harris Teeter has more lower prices on organic and natural items. 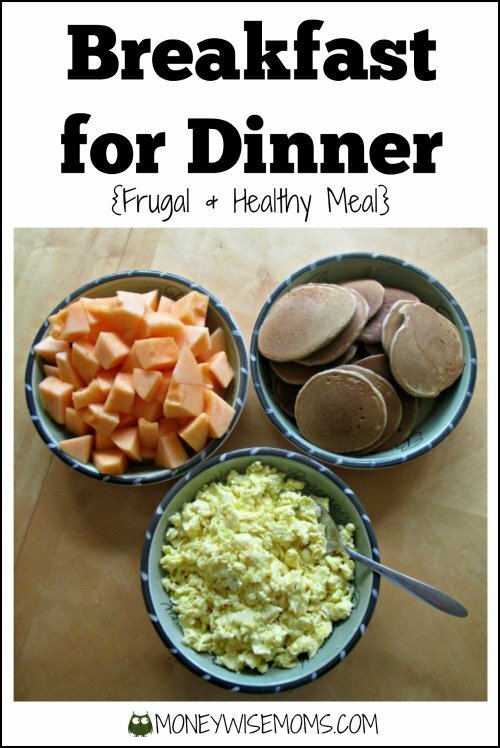 I checked out the selection and picked up everything we needed to make a frugal & healthy meal–one of our faves–it’s breakfast for dinner! For under $15, you can make a nutritious meal that everyone loves. We used HT Organic milk and eggs in my Whole Wheat Pancakes recipe to make a hearty dinner and served it alongside summer fruit. 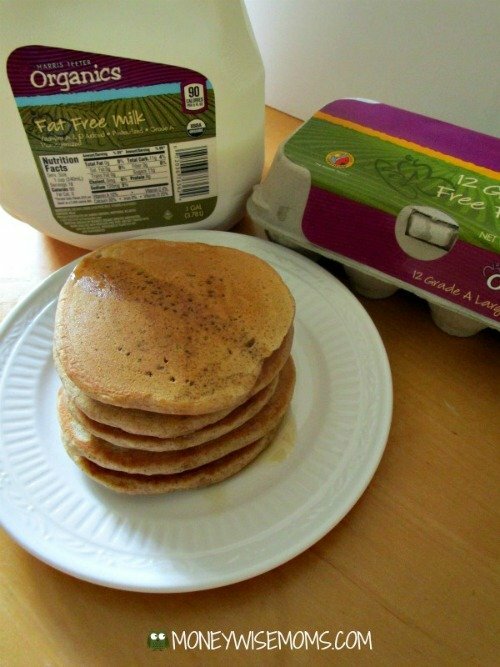 We like to double-up on the pancakes and keep them in the fridge. Then they’re easy to reheat in the morning just by popping them in the toaster. 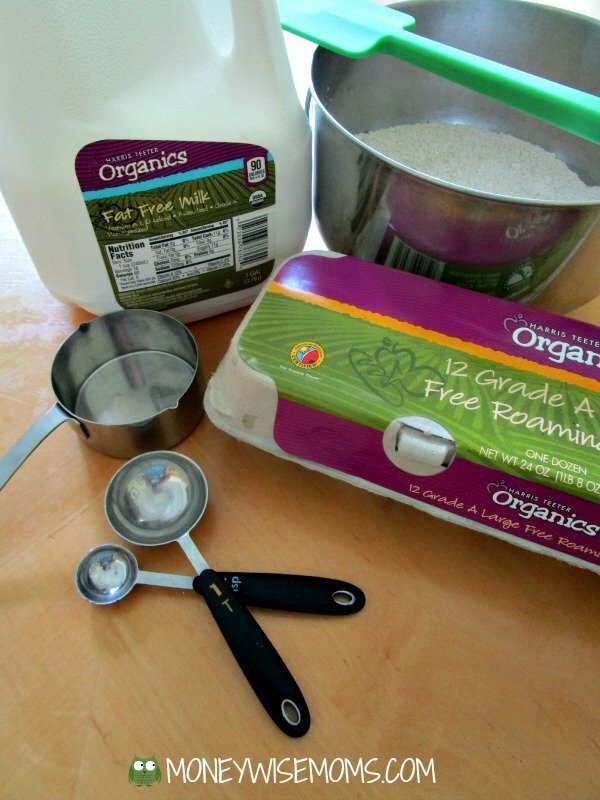 I love this recipe because it adds fiber (by using wheat flour) and flavor (with cinnamon) compared to regular pancakes. My kids just love them! Are you having a busy summer, too? 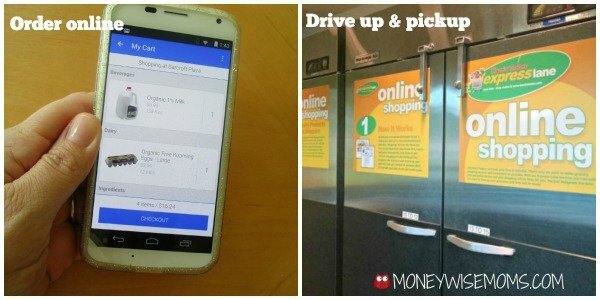 Take advantage of the handy HTmobile app and skip the grocery trip. You can order your groceries online, then drive up and have a friendly HT employee load them right into your car. It’s a huge time-saver! You can even save past orders, so if you shop the same foods regularly, your list is ready to go. If you’re traveling this summer, make your grocery order before you leave. Then you can swing by Harris Teeter on the way home, and pick up your groceries instead of coming home to an empty fridge.